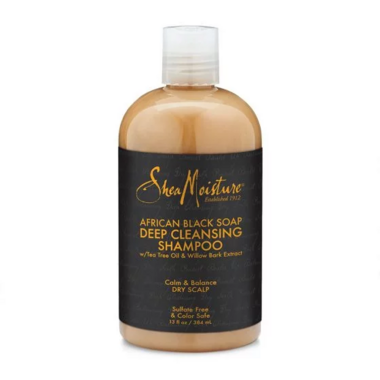 African Black Soap Deep Cleansing Shampoo gently cleanses as it removes buildup from styling products and soothes dry, itchy and flaking scalp. It also helps to regulate sebum production. Apply to wet hair, lather and massage at the root to stimulate the scalp. Rinse thoroughly and repeat if necessary. worth every cents. will remove every product in hair and clean scalp. will dry out the hair a bit to much if you have dry fine hair but don't worry just add more conditioner or deep conditioner after that and your fine.